Phil, thanks for the info. 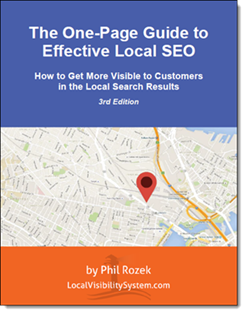 Any idea why I can not see a Kindle version of the book? Phil, thanks for the follow-up. I could not find it when browsing on my iPhone. Now I can. Quick question for you. According to you, does someone rather advanced on the subject will have at least one enlightening Eureka moment when reading the book? Thanks. Awesome. Last question before I get the book. Is the book with a lot of graphics? And, if it is, can you confirm that graphics are well rendered in the Kindle version? There’s a decent number of graphics, but most of them are simple. They come through beautifully on Kindle (I downloaded it just to double-check 🙂 ). Phil, thanks for sharing this. This is one thing I preach and preach to my clients, GET REVIEWS! I’ll add it to my wish list. I hope Santa gets you a copy! 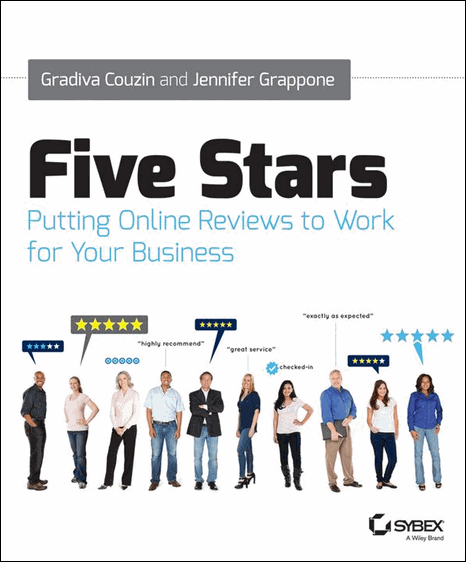 New Book: "Five Stars: Putting Online Reviews to Work for Your Business"